One of the controversies surrounding Rebbe Nachman of Breslov was that his followers practiced vidu'i devarim (verbal confession) in his presence. Thus their detractors called them "vidu'inikers." What was the purpose of this practice? Is it still done today in Breslov? Some say that it is not a legitimate Jewish practice at all, and might even be assur. What's your take on this? First, let's back up a little. Rabbi Menachem Mendel of Lubavitch (known as the "Tzemach Tzedek") states in Derekh Mitzvosekha (“Discourse on Confession and Repentance”) that teshuvah / repentance is not only a way to gain forgiveness from G-d, but retroactively uproots and "undoes" the sin. It spiritually restores us to "factory specs." And as the Rambam rules in his Mishneh Torah, Hilkhos Teshuvah, confession is an essential part of this process. What is the spiritual reason for this? Again, to quote Derekh Mitzvosekha, just as the sin has both physical and emotional elements – the physical act and the evil, or at least misdirected desire, that led to it – teshuvah also requires a physical and an emotional component. When we feel remorse in our hearts, this uproots the passion behind the sin. And when we verbally confess our wrongdoing, this physical act of confession cancels out the sinful deed that we carried out with our bodies. The vidu'i devarim described in Likkutei Moharan I, 4, though, was something more than this; it was a special tikkun that the Rebbe instituted for a certain period of time. The Rebbe's chassidim not only confessed their sins, but did so in his presence. We might raise an eyebrow at this unconventional practice. But in fact, such confessions in front of a spiritual teacher or members of a spiritual brotherhood were not unprecedented; they were also performed in earlier kabbalistic circles. Moshe Hallamish mentions this in his introductory volume on the Kabbalah, citing the example of Rav Chaim Vital and his talmidim. Confession in front of others was also practiced by some groups of Chassidim as a more intense method of teshuvah. Even the Chabad farbrengens of old were known to occasionally elicit such public expressions of repentence. However, in Rebbe Nachman's circle, something more was going on. The point of such confession was to create a spiritual condition which would enable the penitent to experience the Ohr Eyn Sof, G-d's Infinite Light, which the tzaddik experienced and for which he became a channel. Thus, others might share something of this mystical experience, too. Some may find this hard to believe; but for those who experienced it, such as Reb Noson and Reb Yidel and other followers of Reb Nachman, this glimpse of divine illumination, however brief it might have been, was vividly real. So how about us today? The Tcheriner Rov writes in his Parpara'os L'Chokhmah (on Torah 4) that today we only practice such vidu'i devarim beside the Rebbe's kever, particularly on Erev Rosh Hashanah -- but not in the presence of others. Thus, we have a bechinah, an aspect of the Rebbe's tikkun; but whatever took place when the Rebbe was physically alive is no longer available to us, at least not in the same way. I remember that many years ago, a ba'al teshuvah friend who was a new mekurav to Breslov came to New York to meet Rav Elazar Kenig of Tzefat, who was visiting at the time, and my friend asked me to serve as translator. At one point, he asked Rav Kenig if he could confess a certain sin to him, as the Rebbe describes in the lesson we have been discussing. Rav Kenig declined, explaining that this was only done in the Rebbe's presence and is not our custom today, except perhaps privately at the tziyun (Rebbe Nachman's grave site in Uman). Nevertheless, my friend insisted, until finally Rav Kenig gave in. But I saw that the Rav looked pained by the whole thing and didn't allow him to elaborate. Then he gave the young man some words of encouragement and told him not to brood about the past. As for the legitimacy of all this, I assume you are alluding to confession in Christianity. There are a lot of things Christianity took from Judaism, some of which were subsequently played down by our rabbis in order to keep a healthy distance between the two faiths. (I haven’t studied Christian theology, but assume that their practice comes from the confessions made in ancient times by Jews who brought sin [chatas] offerings in the Beis HaMikdash, as well as by the Kohen Gadol on Yom Kippur. This is probably the model for the kind of confession we are talking about here, too.) But just because another religion advocates confession to a priest doesn't mean that vidu’i devarim in front of a tzaddik is assur. The confessor is certainly not shamelessly recalling his sins, which is an actual prohibition; see Rambam, Hilkhos Teshuvah, 2:5 (re. sins between man and G-d). From the Rebbe's words in Torah 4, we see that the confessor's embarassment is no cozy “fireside chat” -- he compares it to dying, rachmana litzlon! Of course, what dies is one's prideful nature. What is born is a new way of being in the world, illuminated by the Presence of the Creator. Although we may not be able to experience this in as dramatic and intense a way as the Breslover Chassidim did when the Rebbe was still alive, we can reach the same goal by following his other eitzos, his other advice in avodas Hashem. The Rebbe tossed us many spiritual lifelines. In fact, every teaching in Likkutei Moharan is one. Through cheshbon ha-nefesh (self-examination), hisbodedus, learning and davening, and trying to “live the life” that the Rebbe sought to initiate us into, sooner or later, we’ll all get there. A true story about confession: a dear friend of mine once went to Rav Shmuel Darzi ztz"l for help with teshuvah. He intended to confess regarding three things he had kept to himself for years, that nobody knew about, and that he had struggled to do teshuvah on but somehow didn't feel clean from as yet. Before he could confess to the Rav what they were, the Rav told him what those exact three things were, and how to do certain penitential practices to cleanse himself from them. If someone really believes that HaShem watches us, why wouldn't his confession before HaShem be sufficient? Possibly, the value of also confessing in the presence of a Tzaddik is that the Tzaddik can give helpful recommendations, as in Yehonasan's example above. But that means the Tzaddik has to be able to offer the advice. How would that happen at a Tzaddik's kever? So I'm still unclear on this point. I have heard many truly astounding stories about the tzaddik Rav Shmuel Darzi zt"l. He was Rabbi Avraham Sutton's mentor for nearly a decade, I believe. Your friend had a great zekhus to have met him and received his advice! I think more is going on here that meets the eye. The tzaddik serves as a spiritual channel -- for blessing and for da'as and even for kaporah, according to the rule of "kol Yisrael areivim zeh la-zeh." Just being in the presence of a tzaddik can have a tangible spiritual effect on us. How much more so when their is a "meeting of the minds." Nevertheless, we have to do our own avodah, and nobody else can do it for us. As for the inyan of hishtatchus al kivrei tzaddikim, that's a big subject. I guess the "bottom line" is that there is still some sort of connection between the neshamah of the tzaddik "above" and the kever. So going to the kever of a tzaddik is not entirely unlike going to a living tzaddik. A spiritual connection is made. There is a lengthy discussion about this subject in Rabbi Chaim Kramer's "Crossing the Narrow Bridge," Rabbi Avraham Greenbaum's "Rabbi Nachman's Tikkun," and a recent volume from Chabad called "Whispers Between Worlds" that includes a translation of a key teaching from the Zohar. Rabbi Sears: Yasher Koach for a great posting as usual. A few things came to mind. For someone to compare this confession to that of other religions is comparing apples to oranges. By others, they confess and that’s it. There is no instruction given on how they should rectify their sins. Here, the person confessing is looking to do true teshuva which the tzadik will guide him to. While he doesn’t use a loshon of “vidui”, in Tzetel Koton #13, the Noam Elimelech writes that one should tell over to a Moreh Derech or even a good friend all his bad thoughts that are contrary to the Torah… He should not hold anything back because of shame. This sounds strikingly similar to what the Rambam in Peirush Hamishnayos says on the statement in Avos (1:6): “Acquire for yourself a friend”. The Rambam says that one should search out a friend that you will be able to tell over everything to. You should tell him over the good and the disgusting, without leaving anything out. In recent years the newly minted Zaddik Rabbi Shlomo Helbrans of lev Tahor also insisted that his followers be misvade before him on a regular basis. There is no mesorah for this in Breslov. 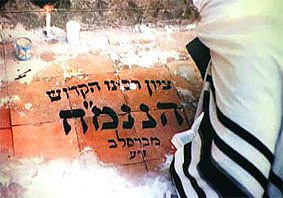 May we all be zokheh to a "lev tohor!"